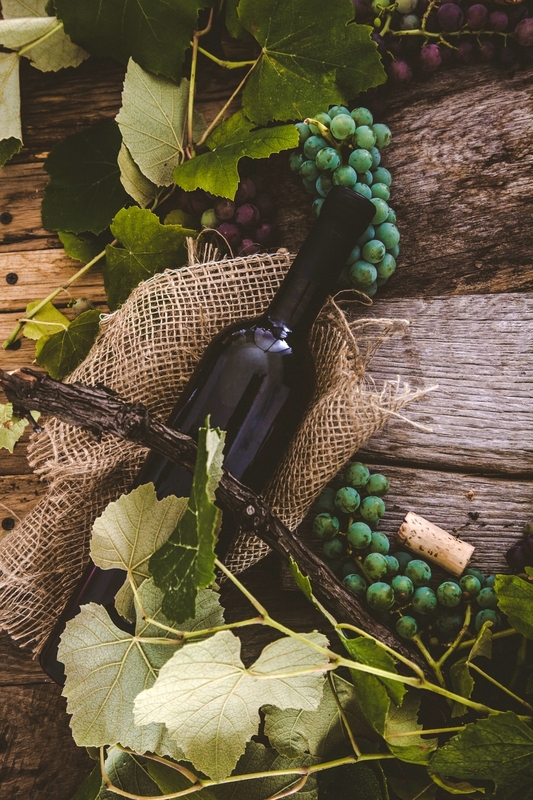 Many of us wine lovers find ourselves in a quandary these days when it comes to finding fine wine at a tolerable price point. With prices relentlessly marching upward and onward, quality at a reasonable price seems elusive, especially for California wine. Well, despair no longer, my friends. 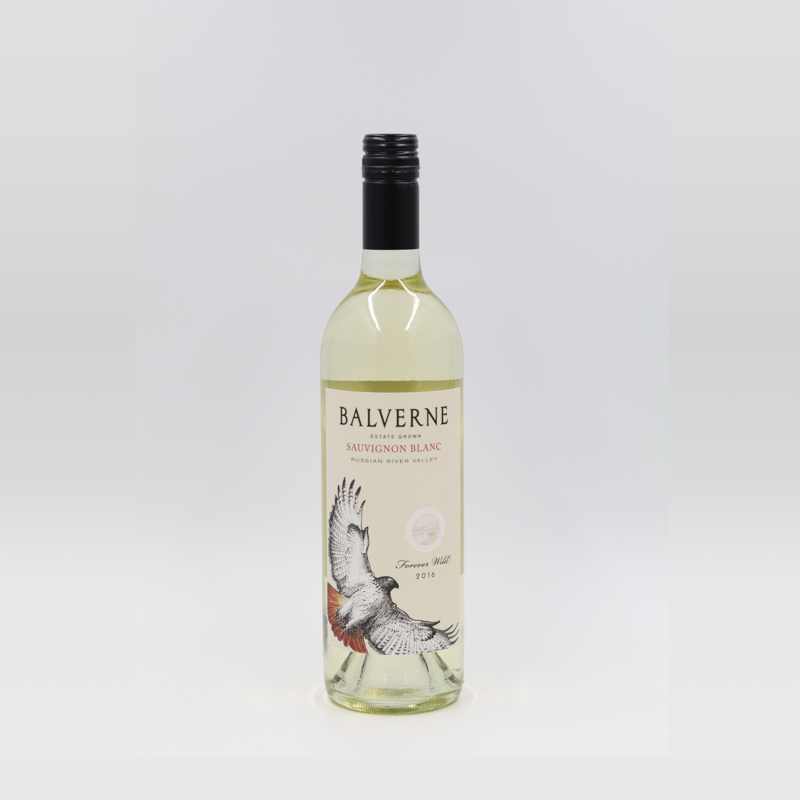 This month’s Winery of the Month – Balverne - is here to save the day (and your bank account)! 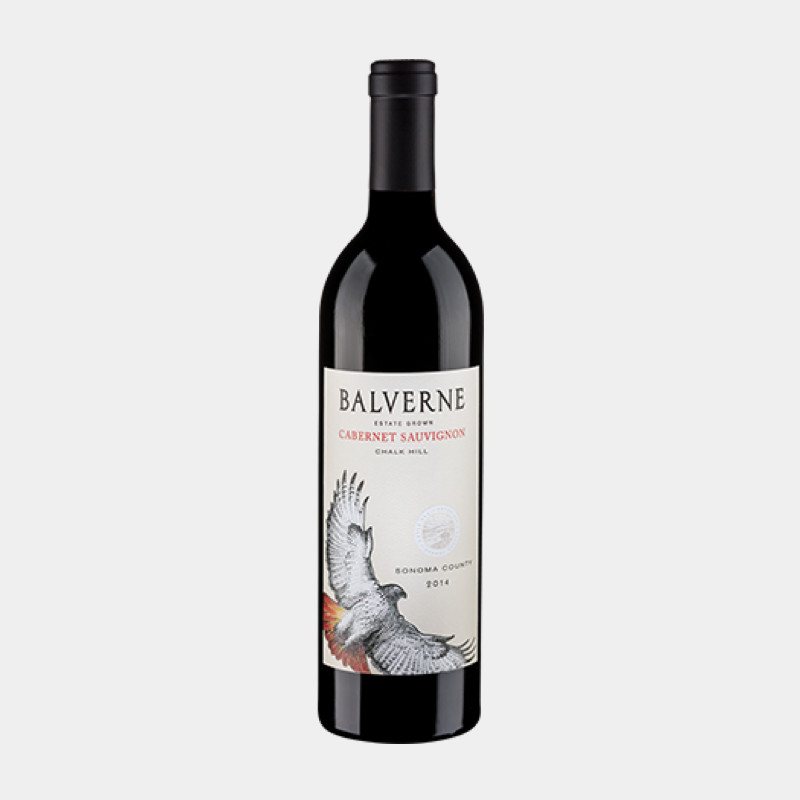 Every wine that Balverne produces offers unparalleled consistency, quality AND affordability. Owners, Bob and Renée Stein, and Winemaker, Michael Westrick, are committed to maintaining the integrity of their estate wine through the meticulous cultivation of the diverse and distinct profiles of each varietal. 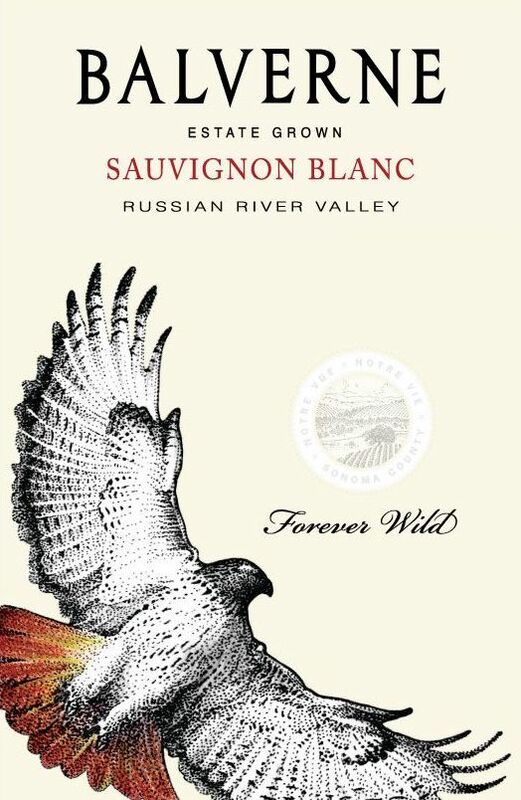 For them, excellence in the bottle is their primary concern and their wines showcase the exceptional quality and drinkability that their Russian River Valley estate offers. But wine is not the only passion to be found at the Notre Vue Estate (the name given to the land that embodies the Balverne quest). A significant portion of the property was given over to open space in participation with the Sonoma County Open Space District. It is designated as ‘Forever Wild’ and forms a natural greenbelt and riparian corridor. This generous land stewardship encourages the balance of nature and industry to the benefit of the indigenous flora and fauna. For this reason, the Red Tailed Hawk presides both over the property and as their label’s majestic ambassador. A Little History: The property was the Windsor Oaks Vineyard, which was originally a part of the Rancho Sotoyome land grant of 1841. 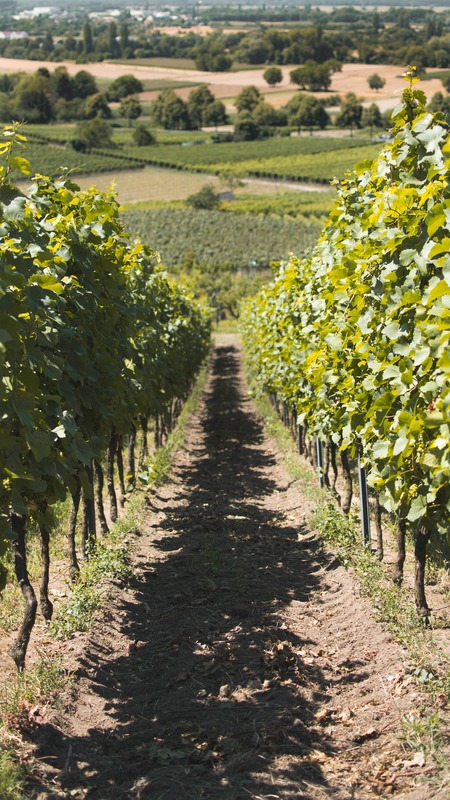 Antonio Perelli-Minetti was the first to plant grapes on the property and in the 1920’s the estate was used as a summer residence. The ‘original’ Balverne came into existence in the early 1970’s and was a well-known brand throughout the 1980’s – you may recognize the names of the 2 winemakers…Doug Nalle and John Kongsgaard. In 1992, Bob and Renee Stein purchased the property, renamed it Windsor Oaks Vineyards and managed it as a vineyard, selling fruit to over 35 highly regarded wineries. Finally, in 2012, the Steins decided to honor the legacy of the property and re-named it Balverne. “Notre Vue Estate is a place that has inspired our creativity and passion. It has become a labor of love and an exciting lifelong commitment – a lifestyle. This property has captured our hearts and romanced our daily lives; we have come to appreciate the deep rustic elegance that permeates everything around us. Your experience is the final step in our winemaking process. We love to entertain and can always find an excuse to gather our friends together. We feel so connected to Sonoma County and look forward to sharing wine and time with you.” Bob & Renée Stein"
Wow! This Chalk Hill Cabernet Sauvignon is an absolute gem and a steal, to boot! Intense and layered, the brooding aromas of black plum, cassis and blackberry offer a glimpse into the secrets within. Full-bodied and full throttle, but with charming, fine-grained tannins that lend a core and structure without bludgeoning your palate. Flowing flavors of forest berries, black cherry and chewy purple fruit share the stage with shaved dark chocolate and mocha. The finish is broad and is still developing, but proffers a satisfying grip and hint of ink and black tea. Decant 30 minutes before drinking or stash a few bottles in your cellar for 3-5 years. You will be glad you did! Refreshing and frisky, this Sauvignon Blanc blatantly beckons with its zesty aromas of Meyer lemon, grapefruit and lime blossom. A nimble and brisk palate that leads with citrus and bright acidity, it dances and twirls with a taut and curvy mid-palate. The finish is lean and clean with a curiously inviting roundness that insolently tugs your mouth back to the glass. So satisfying!! !